Let this be a propitious post, because I am about to make a claim. It is difficult to predict what will stick with listeners and what will not. Today, though, I present to you a band that with their new release Lunatic on July 24 will break the uncertainty of success like it is weak glass. 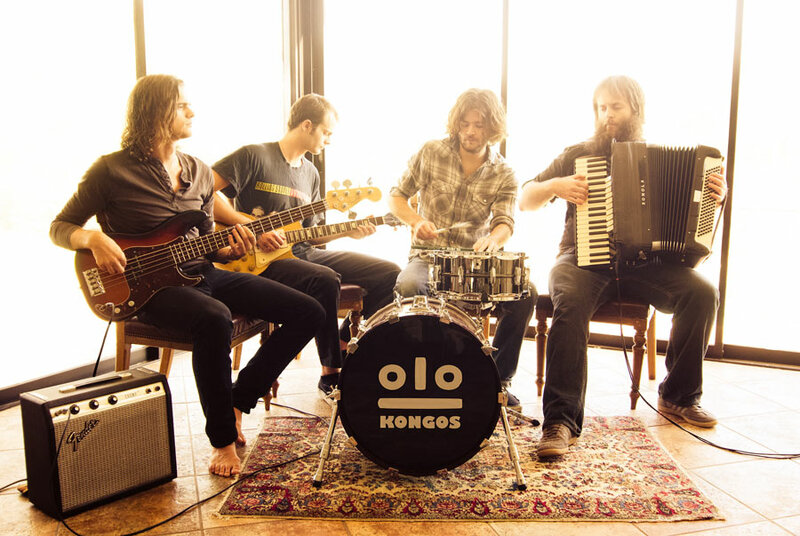 Listen up, because Kongos may be finding a cozy spot on the Fall charts. 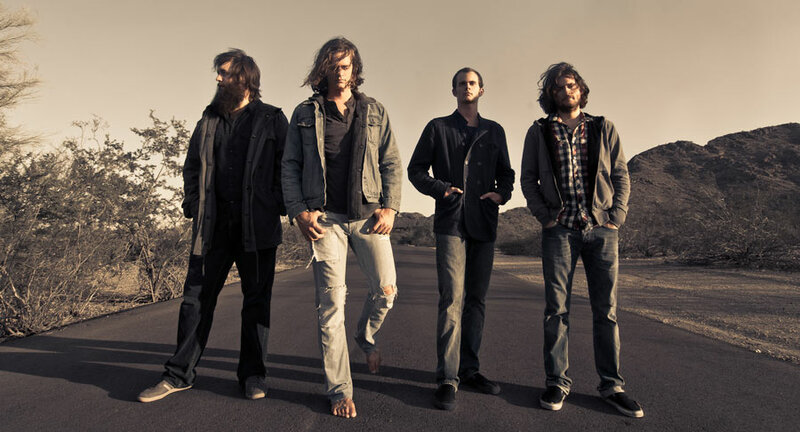 While Kongos is based in Arizona, the band, which is made up of four brothers, grew up in London and South Africa. If you recognize the last name, you are not going crazy. The father of the four musicians is South African rocker John Kongos whose 1971 hit single “He’s Gonna Step on You Again” had the whole world moving to the drum beat. There it is. Kongos’ boys (Johnny, Jesse, Dylan and Danny) grew up in music because of their father and are now proving that the apple truly doesn’t fall far from the tree. The brothers have established their own rock act that blends African beats, Eastern European influences, and pure unbridled driving rock. The eye-opening combination is so refreshingly different it is difficult not to get excited about the band of brothers. For a lover of music, it is so intriguing to come across an act that is creating music dissimilar to anything currently being released…and, most importantly, is doing it exceptionally well. While the band is currently based in the dry heat of Arizona, they have been mainly heralded in their former hot home of South Africa, where their debut release in 2007 found a single in the top 10 of the Tuks FM Top 30, a South African rock chart. That is not to say that the band lacked success in Arizona. It was named the Best Rock Band of Phoenix by the Phoenix New Times a few years back. After partnering with their father to form Tokoloshe Records in 2010, the band started releasing singles that appear on Lunatic. Their first single “I’m Only Joking” hit number one on all three Tuks charts, and several songs from the rest of the album started receiving tremendous airplay in South Africa. It received such play that when the band toured South Africa they encountered sold out venues wherever they went. Like I said above, July 24 is the US/World release. “I’m Only Joking” is the first major single from the new album, and it will surely be the first to stick to the charts like honey. Take a listen while we go through all the positives of this hard-hitting, lustful, manly, burly, genre-splicing, rocker. Enough adjectives for you? The rising drum beat in the introduction gives off an immediate Muse feel (think “Uprising”), but instead of moving into the realm of Muse’s symphonic/alternative rock, Kongos enters into sinister darkness. While Muse plays to the arena, Kongos plays to the underground. The verse is carried by a story-telling voice placed on top of an accordion. It is almost burlesque in a sense, so odd and different that the listener is left in a theater of red and black wondering what they are about to travel into. The chorus takes the verse up a level, while the constant beat remains. It is certainly infectious and will stay in your head. At the end of the chorus (around 1:00), the instruments drop and the vocals echo and then follow a baleful, even pernicious, note progression that can best be described as unreal. I have become quite obsessed with the drum beat and the almost disjointed instrumentation at around 2:10. By the way, they are chanting “Wadu-aidu-wadaidu,” in a cult-like fashion, and I have no clue what it means (I thought originally it was why do I do what I do). The full chorus at the end boils the song over. It is an impressive piece and will hit the charts like a bat out of hell. Next up for you I have a song entitled “Come With Me Now,” which does an excellent job accentuating the accordion more (it sets the beat). Take a listen. The beat itself certainly hints at African influences. The song then shifts into a head-bopping rock hit with a catchy repetition of the first line, yelled melodiously by the chorus of brothers. I think one of the great elements of this song is the clear connection that the band has. You can almost tell they are brothers. All instruments (including voices) are coordinated in an almost innate sense. Not to mention, this song features a portion at 1:30 that completely transforms the piece. It is Keane-like, very British piano rock. The song then falls back into the rhythm and even adds a Western-like guitar riff before the Balkan accordion comes back. The amount of influences this band pours into their songs is remarkable. The last track I want to expose to you is slower and more intimate. “This Time I Won’t Forget” is a mid-album slow-down piece that displays the curiosity and orchestral diversity of the band. The rhythm is worldly in its spaciousness. The song is open in a Fleet Foxes sort of way, but it is a bit louder and more diverse. Do you ever have that initial moment with an album where you realize you like all of the songs? Well, Kongos has given that to me. Like what you hear? Check out the bands website and connect with them on Facebook and Twitter. Psychedelic music inspired many talented performers to explore rock n’ roll’s endless possibilities. At its root, psychedelic music is experimental, and like any pioneering scientific discoveries, it engenders more research and, well, experimenting. While psychedelic music has numerous sub-genres, even more striking is the amount of genre manipulation that happened after the wave of psychedelia came to a near-end in the late 1960’s. I say near-end because psychedelic music never truly ended. But since it experienced a wave of popularity in the mid-late 60’s, it naturally became less popular. I know that I called this section the 60’s psychedelic experiment, but it is equally important to describe music that was created directly after the initial boom. I’m talking about the early 1970’s, which saw the rise of progressive rock and art rock, two genres that owe their creation to the success of psychedelic music. In a sense, art and progressive rock are both the complex expansion of psychedelic experimentation featuring music that concentrates on intricate and lengthy melodies combined with either a classical musical approach or more modern representation. How did that paragraph go down? Smoothly, I hope. Seriously, the progression of Rock music is sometimes bulky, and this time period saw several changes to how rock would evolve. Art and progressive rock evolved from psychedelic music. 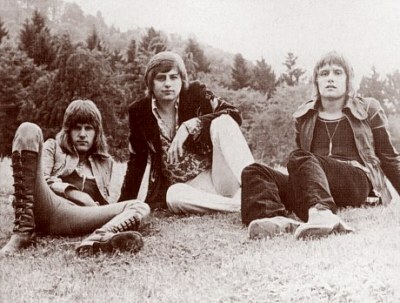 Emerson, Lake & Palmer (ELP) was composed for Keith Emerson, from the psychedelic rock band The Nice, Greg Lake, from the late 60’s prog-rock band King Crimson, and drummer Carl Palmer who played in the Crazy World of Arthur Brown and Atomic Rooster. These three musicians composed one of the first Art Rock supergroups and their music reached for the classical portion of Art rock. In my opinion, art and progressive rock are practically the same term. But, one of the key differences is progressive rock tends to focus more on guitars. As evidenced by the piece I am including, ELP swayed more towards piano and keyboards. “The Three Fates” is the first song off of side two of their debut eponymous album. It is split up into three parts, each named for a mythical figure (Clotho, Lachesis, and Atropos). The piano playing is extraordinary. Keith Emerson is skillful beyond words. The ode to classical music is clear and this classifies the music as 1970 Art rock. So, you may be thinking, how does this apply to psychedelic music? Travel to around 5:30 in the song. Okay, this is Jazz-rock. But, wait, what are all of the background sounds and the musical layering and strange notation. Yes, this is psychedelic music of the 1960’s kicked up a notch to fit into the genres of Jazz and Classical. It is Art rock, and a perfect example of the evolution of psychedelic music.